Have you ever bought a more expensive edition of a book, when a cheaper edition was available, just because you preferred the cover of the more expensive one? Yes, when the difference was only a couple of dollars. However, above that I buy the cheaper edition even if I don't like the cover as much. Sadly, I'm not that wealthy, and I'd rather save the money to buy another book. The cover isn't everything. At no time during the twenty-four hours was the Bull and Mouth Inn a place of quiet and repose, and by ten o'clock in the morning, when the stage-coach from Wisbech, turning top-heavily out of Aldsgate, lumbered into its yard, it seemed, to one weary and downcast passenger at least, to be crowded with vehicles of every description, from a yellow-bodies post-chase to a wagon, with its shafts cocked up and the various packages and bundles it carried strewn over the yard. While Jupiter sidled and fretted, she brought one leg round the pommel, adjusted the voluminous folds of her skirt, and commanded Torquil to shorten the stirrup-leather. Kate Malvern, rescued from penury by her aunt Minerva, finds the grand household at Staplewood very unhomelike — even family dinners are formal. When she begins to suspect the shocking reason for Minerva’s generosity, there is no one to confide in. Georgette Heyer is on my list of authors I must try. Hope you enjoy the read. Yes, she's been on my wish list for a while. Finally getting to some of them! I finished Lady of Quality yesterday and really enjoyed it. Liking Cousin Kate so far too. Is that Wisbeach England? I'm curious now. I live nearby. Such a great choice of book! No, it doesn't roll off the tongue, does it? 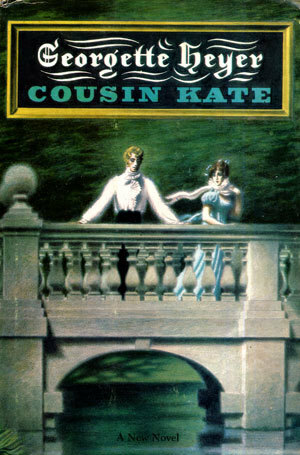 I like most Georgette Heyer romances but will admit I don't remember much about Cousin Kate. 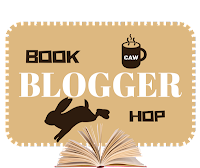 I'm featuring Sleep Like a Baby by Charlaine Harris this week. Happy reading! Ah, I like Charlaine Harris' writing. Enjoy! I love the descriptive writing, but not sure this is a book I would pick up or not. :-) Happy weekend! Same to you! Happy Reading! Thanks for visiting. Happy Hopping. It's been a long time since I read a Georgette Heyer book. This sounds like a really good one. I'm enjoying it so far - about halfway through. It's proving to be a fun read. Such a lovely cover and this sounds like it would be a wonderful movie too. Actually, I think this one would translate well to film. There is a minor Gothic vibe. Perfect idea to save the money to buy another book. Good thinking. ENJOY your weekend, and thanks for stopping by my blog, Nicki. Thanks, Elizabeth. See you next time! That sounds like a rather intriguing book...and I tend to enjoy historical fiction so I may have to check it out. Historical fiction novels always have a special kind of appeal. Hope you enjoy your weekend! Thanks, Alicia. Same to you. I usually try to get the cheapest edition of a book, too. However, if doing so means I have to put up with a HIDEOUS cover, then I will definitely pass! It's actually not necessary to spend a LOT of money in order to acquire a book with a beautiful cover. Many such books are available at Amazon, Ebay, Alibris, and Abebooks, as well as used bookstores. You just have to be willing to do some comparison shopping. I certainly CANNOT afford to buy books from The Folio Society, for example, beautiful as they are! Oh, you're reading a book by Georgette Heyer!! I think I have one of her books sitting on my shelves. I would have to look for it. I've long wanted to read her books. (Heck, there are SO many books I've long wanted to read, lol.) This one looks GREAT, and I'm adding it to my Goodreads shelves. (And I like the cover, too!) Thanks for featuring it!! My problem is being in Australia, where books are more expensive than US/UK. My best option is TBD, as they at least offer free postage (which can be a killer with Amazon etc. ), but even their prices are not so good since Amazon bought them out. Plus it takes 2 weeks for the books to arrive. *sigh* Gone are the bargain book buys I used to find in the UK.